May 14, 2019 -- Registration Now Open! Real time talk to text for people who have difficulty hearing. Compatible with JAWS and other screen reader applications. Supporting the way you choose to communicate. Sign up to receive announcements for future career fairs! Thank you to our previous featured employers! Job Seekers and Employers UNITE! The largest job board and resume bank Between the fun and excitement of ABILITY Job Fairs use abilityJOBS, est 1995. Experience the difference. No matter where your company is located, we are able to connect you live with job seekers from all over the US. You will talk one-on-one with talented jobs seekers with disabilities and, afterwards, fill your pipeline with resumes of all attendees. Job seekers also have the opportunity to leave a 3 minute Video Message. There has never been a more complete online career site for recruiter and job seeker. 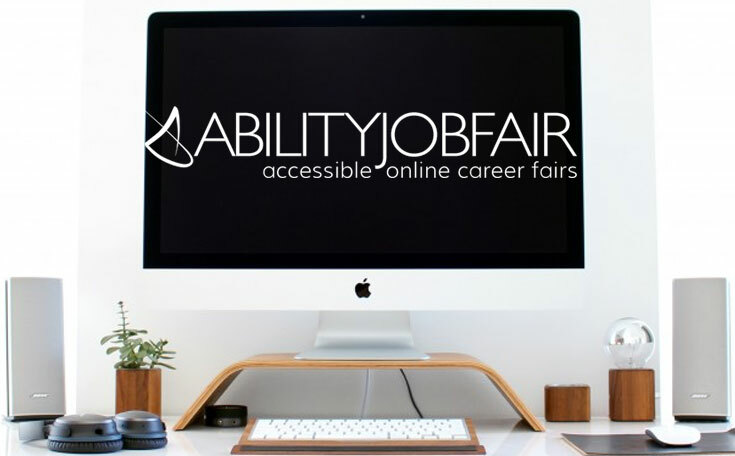 ABILITY Job Fair uses the best available communication software to make online career fairs accessible. Job Seekers and Recruiters can connect face-to-face, as they would in an in-person career fair. Job Seekers — one click can lead to a new career! Check out the latest in Health, Disability and Human Potential. Read ABILITY's content with a FREE Membership! Search jobs and post your resume on the first and largest job board connecting employers and job seekers with disabilities. Creating a world of inclusion and awareness for people with disabilities – through art, media, housing, employment, and volunteer opportunities.